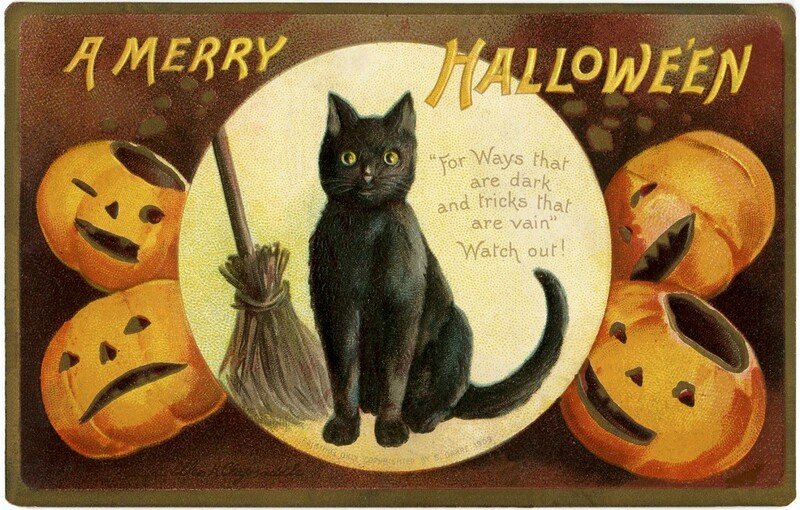 This is a Cute Vintage Halloween Cat Image! Shown above is a darling Vintage Postcard, showing a Black Cat with a Straw Broom next to him .. or her. On either side of the Cat are 2 Funny Jack O Lantern Pumpkins! This card is by my favorite Vintage Postcard artist, Ellen Clapsaddle! You might also like the cute little Witch Postcard with Black Cat, that was also designed by Miss Clapsaddle. It would be fun to create a little Vignette with the two of them, in your Halloween Decor! 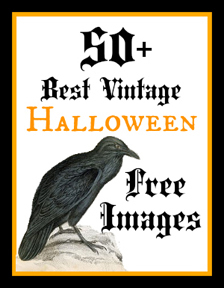 For even more Vintage Halloween Images be sure and check out the 50+ Best Vintage Halloween Free Images post! 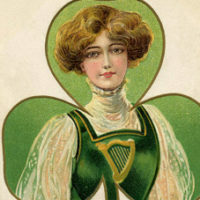 15 St Patricks Day Clip Art Ladies – Updated Cute Retro Thanksgiving Child Pulling Wagon Graphic! Halloween Cat Image – Driving a Pumpkin Coach – Amazing ! Great cat card. U don’t see postcards like this any long. What a shame.